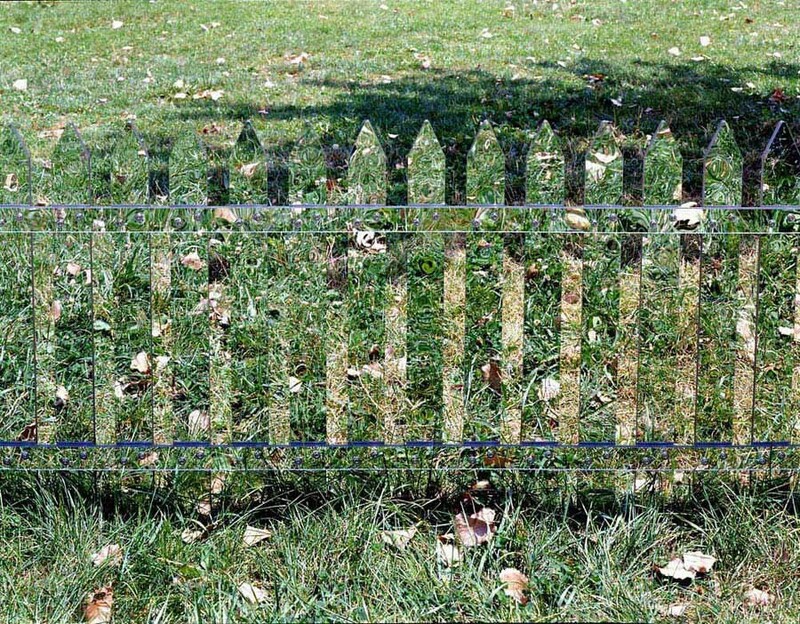 American artist Alyson Shotz constructed this large-scale picket fence from strips of mirror and placed it in a natural setting as a sort of suggested barrier or delineation of space. 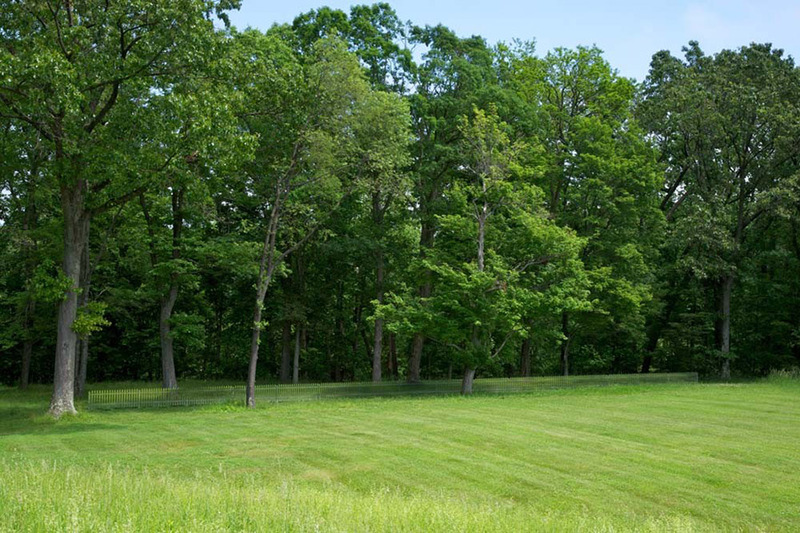 The project was a commissioned installation for Storm King Art Center in New York. What intrigues me most is the variety of views that are possible with this installation. From some angles it almost completely disappears, leaving you with the sensation of a photograph with an obscure horizontal smear across the center (like below).